Do you walk into a store, pick up an item you “absolutely” need and make a beeline to the cash register? Or do you sleep on it before making your purchase? The philosophy of delayed gratification plays an important part in your economic landscape, budgeting goals and the ability to achieve financial freedom faster. Establish a spending limit: The ultimate goal is to prevent impulse buying. By reviewing what you can and cannot afford, you identify what is within your spending limits. This practice helps prevent the urge to give into temptation. Make a list of pros and cons: By making a list of positives and negatives, you visualize whether it’s worth making a certain purchase, especially if it is more of a want than a need. Sleep on it: Walking away from a purchase is sometimes hard to do, but encourage yourself to sleep on it before making a decision to buy something. By sleeping on it for a night, you may temporarily “forget” you wanted the item in the first place. 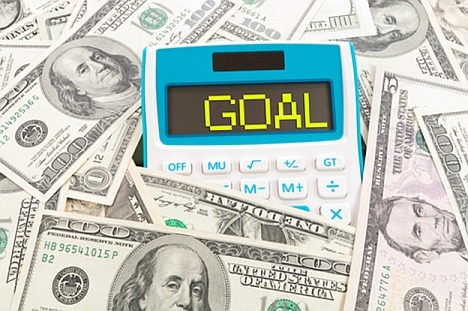 Review your saving goals: Having a clear picture of your financial goals helps you make more prudent day-to-day choices. Why are you saving your money? By defining how you want to spend your money, you prevent sacrificing the long-term gain for the short gain. If you don’t take steps to define your financial goals, there is an inherent risk of working years after your retirement age and incurring unnecessary stress. Devise a budget. Make a monthly spreadsheet of assets and liabilities to determine how much you need to spend and save every month. You also need to build good credit. Periodically check your credit scores through Experian, Transunion and Equifax to know what liabilities are under your name and determine the validity of these items. Employee identity theft: An individual uses your personal information to secure employmentand you are left with the tax bill on income you didn’t earn. Medical identity theft: People use your private information to file false workers’ compensation, have surgeries and file claims in which you end up paying for procedure you never had. Social Security or driver’s license identity theft: The identification numbers are used to apply for car loans, mortgages and welfare benefits. You are stuck with the bill! Financial identity theft: A person poses as you at the bank and may empty your bank accounts and safety deposit box; a recipe for financial disaster. You realize the importance of delayed gratification synching with your financial goals. Now what? There are tips to help you spend less money to help you reach financial freedom. Freeze credit cards: Have too many credit cards and can’t refrain from buying things on credit? After paying off your balances, freeze your credit cards to prevent running up your charge card. Make your transfers automatic: Set up automatic transfers of your paycheck into your savings and retirement accounts as soon as your monthly income is deposited. Use tech to keep your budget in check: With a web-based tool like com, you can manage your finances with minimal effort with one-stop budgeting online. « How to make quick profits online with minimum risk?